Are you between the ages of 50 and 65 and concerned about retirement? We can help! 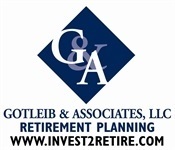 Assist in rolling over 401K funds or pension assets. Run long term projections taking inflation into consideration. Review your social security benefits.